It’s that time of year again! It’s time to dust off your patio furniture and gear up for a new season. 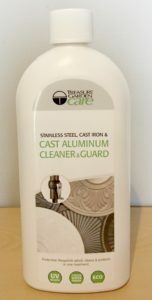 Check out a few of these new Eco Friendly cleaning products from Treasure Garden to help make your spring cleaning easier. You can pick up these products in our showroom at 1252 – 3 Ave S, Lethbridge. It is that time of year again where you are starting to think about jumping into your pool and enjoying your great backyard oasis! We are already starting to book customers for their Spring Pool Openings! 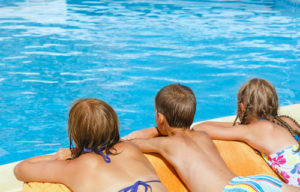 Pools should be opened at least a week prior to any big plans to ensure everything is running smoothly! For easier opening it is ideal to open before the weather warms up too much. The warmer the weather gets the higher your chances of having algae growth in the pool which of course complicates the opening. Let our experienced technicians service your pool so you can enjoy more of your leisure time. If you have any questions about when it would be best or how to go about getting your pool up and running for the summer don’t hesitate to call your Pool Experts at Beachcomber Hot Tubs, Pool & Patio. Discover more great water care tips on our Water Care FAQ Page. How Do I Extend the Life of My Hot Tub? Your hot tub is a retreat where you can relax, unwind and connect with family and friends. It’s an experience you want to continue to enjoy for years to come. For that to happen you’re going to need to care for it in the right way. How do you care for your hot tub so that it will last? The answers to the following questions will save you money in major repairs and ensure that you’re able to enjoy your hot tub for a long, long time. The lifespan of a hot tub varies dependent in part on the quality of the tub. The lifespan could be anywhere from 5 – 20+ years. You don’t have much control over that other than to make the most informed choice you can with regards to the quality of the manufacturing. How will water chemistry affect the life of my hot tub? Test your water regularly and keep it properly balanced – if not balanced, it could corrode the equipment, scale your pipes, damage the seals, jets, etc. Remember, we provide FREE water testing at Beachcomber Lethbridge. Bring in a water sample any time for a computerized analysis. You can also access answers to a lot of frequently asked questions on our Water Care FAQ page. Clear water is usually a good thing, but it could also be a sign that your water has too much chlorine/bromine and is acidic (low pH). This condition can cause a lot of wear and tear on the equipment. Cloudy water is never a good thing. Cloudy water is usually an indication of low chlorine/bromine or high pH and alkalinity. This condition can cause minerals to fall out of suspension and cause scale to form and build up in the plumbing, on heater coils, jets, etc. How do I keep my hot tub water clean? Body oils, lotions, cosmetics, perspiration are all introduced into the water each time you enter – you can keep those at a minimum by showering before entering and by floating a special spa sponge like a Beachcomber Hydro Mop which soaks up these contaminants. Proper filtration is another key to keeping your water clean – ensure you are rinsing your filter once a week and cleaning it once every 6 weeks or so with a filter cleaning solution such as Beachcomber Filter Pure, Filter Cure or Mineraluxe Filter Revive or by replacing it with a new one – a clean filter will ensure clearer water and will cause less stress on the pumps. How do I take care of my hot tub cover? Don’t allow anyone to sit on the cover as it will cause the foam inserts to sag or break and lose its insulating efficiency. Don’t allow snow to build up on the cover for the same reason. 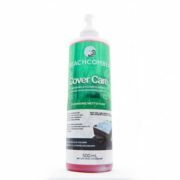 Treat the top of your cover with a hot tub lid protector like Beachcomber Cover Care to protect it from the sun’s UV rays in summer and in winter. 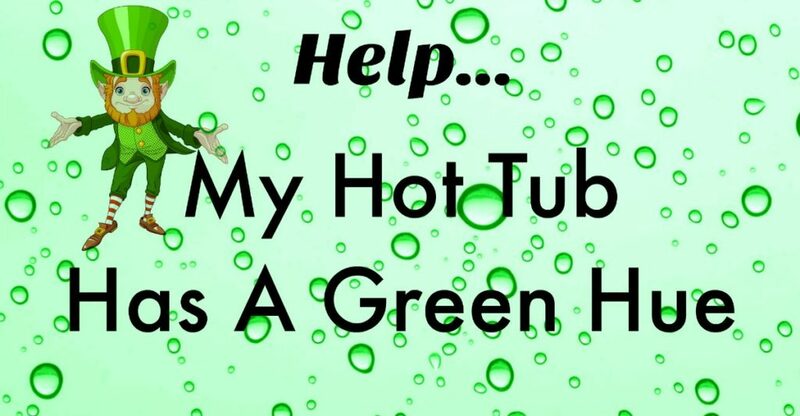 How do I clean my hot tub pipes? There’s a certain amount of gunk that builds up in the pipes over time – to clean the lines, it’s recommended that you run a good pipe cleaner through the tub at least once a year. 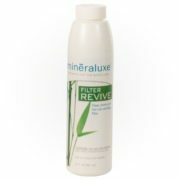 Products like Ahh…some or Mineraluxe Cleanse and Drain are very effective in cleaning the lines. How do I know when to replace my hot tub pumps? “wet end” from the motor degrades, water enters the motor and begins to rust the shaft of the pump. When you notice a pump getting louder, service it as soon as possible in order to minimize additional issues and costs. When a hot tub is properly cared for and maintained, it should last for at least 20 years. Proper water care and regular mechanical maintenance will save major repair costs and ensure many, many years of enjoyment. Discover other great Blog articles here. What Colour Is Your Water? St Patrick’s Day may be filled with your favorite shades of green but we hope your Hot Tub isn’t!!! There could be a variety of reasons your water isn’t clear. One of the first ways to ensure your water stays clean and clear is to outfit yourself with a good test kit and check your water chemistry regularly. Beyond that there are three key factors that will help you achieve clear water – proper filtration, circulation and sanitation. For additional info on this topic, check out this article, What to Do About Cloudy Water. For water care tips in dealing with this issue and others, check out our FAQ page and scroll down to “Common Hot Tub Water Problems and Solutions”. If you need help figuring out a great system for your hot tub, come in and see our Water Care Specialists at Beachcomber Hot Tubs, Pool & Patio. When you “spring” your clocks ahead it can sometimes cause stress and frustration. We finally got to the point where it’s light when we go to work. Now it’s all going to change again! Don’t let it get to you this year! 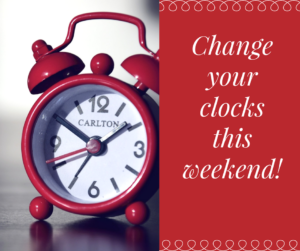 Instead, change all your clocks and then go out for a soak in your hot tub. Studies indicate that soaking in a hot tub can relieve stress, as well as ease muscle aches and minor body pains, improve heart function, help with lower back pain, and revitalize your skin. Discover additional benefits of hydrotherapy in this helpful infographic. If treating your hot tub has become a source of stress or frustration we encourage you to come in and talk to our water care experts about some simple and stress free options. For answers to your Hot Tub water care questions, check out our Water Care FAQ page here. Do you struggle with a ring of scum around the edges of your Hot Tub? First wipe down any existing scum line with a gentle cloth or sponge. 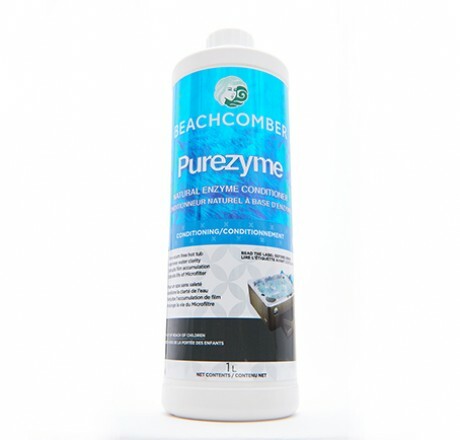 Next treat the water with Purezyme or Botanical Cleanse to remove any organic build up. The final step is to float a ScumBug or HydroMop in the water to absorb excess oils. These products are available at your Beachcomber Lethbridge store. With proper water care and cleaning of your filter media your hot tub should always sparkle like new water. For additional water care tips, check out our Water Care FAQ page here. For help in achieving beautiful sparkling water, come in and see your Water Care Specialist at Beachcomber Hot Tubs, Pool & Patio. It’s tough sometimes, with a young family, to find the time, money and energy for a date night out. One of the great things about having a hot tub is that it allows you to enjoy a quiet date night without having to pay a babysitter! Just get the kids to bed, pour your favorite date night drinks and head out to the tub for some quiet alone time. 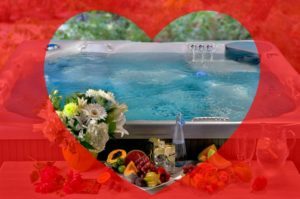 Enhance your experience with some hot tub aromatherapy or natural spa crystals, floating lighted flowers and a luxurious terry cloth robe or towel from Beachcomber Hot Tubs, Pool & Patio! And to help you out, they’re on sale this week! 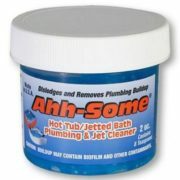 Just remember, when adding products to your water, only add those specifically designed for use in a hot tub. Enjoy your night out and Happy Valentine’s Day! Added bonus: Enter our Valentine’s Day Contest and you could win, win, win! For answers to water care questions check out our Water Care FAQ page here. 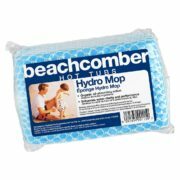 Beachcomber is committed to providing ENERGY EFFICIENT hot tub products. Energy efficiency has been top of mind at Beachcomber since our first Hybrid3 100% foam filled insulated hot tub cavity in 1983. Yes, we inject every nook and cranny inside the cavity under the cabinetry, with 100% eco-foam insulation. Beachcomber has never compromised our commitment to keeping energy operational costs to a minimum for our Beachcomber clients. 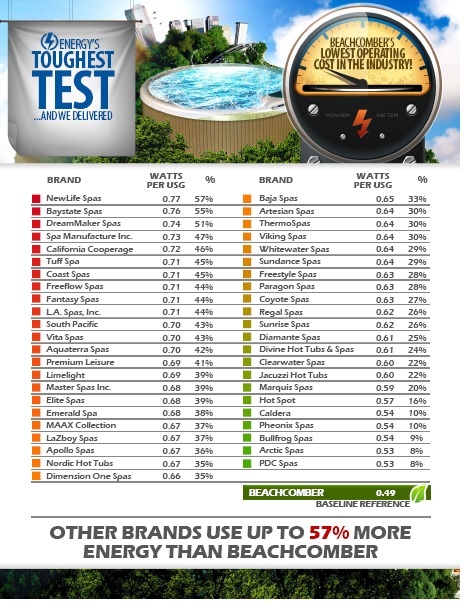 Beachcomber’s outstanding results were measured at California Polytechnic State University and their finding quantified our position in energy leadership. Check out the results. Help! My Hot Tub Cover is Yellow & Slimy! 1. You haven’t opened your cover in a while. Even though you may not use your hot tub every day, it’s a good idea to open your hot tub lid and let it air out regularly. When you sit in your hot tub, all the oils, shampoos, lotions and soaps are rinsed from your body and then get trapped under the cover once you close your lid. 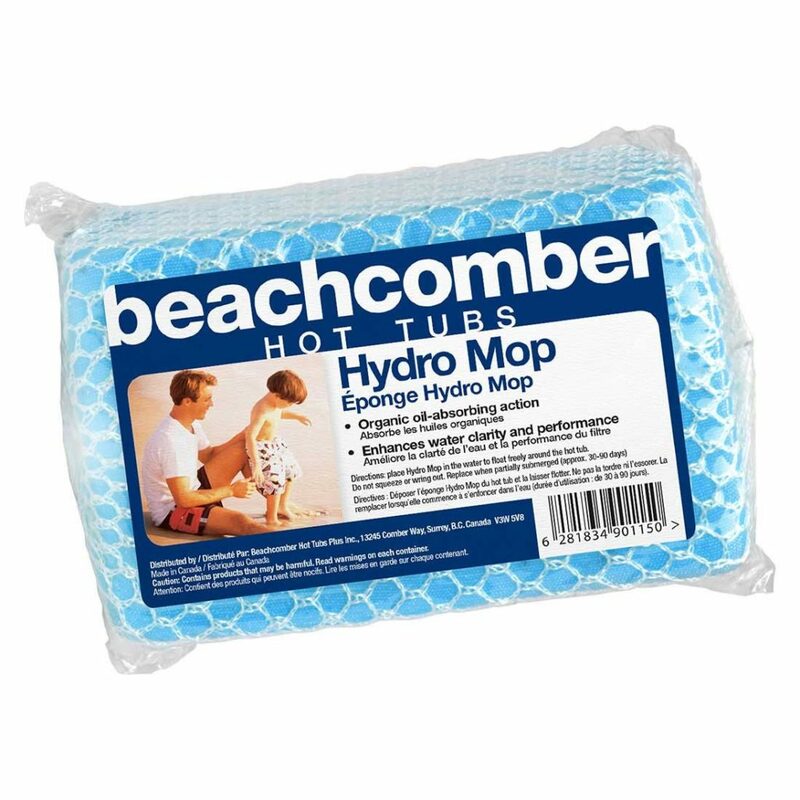 Solution: It’s a good idea to float a special sponge, like a Beachcomber Hydro Mop, that’s designed to absorb oils from the surface of the water. 2. Your water level is too high. If you keep the water level in your hot tub too high, there is a chance that precipitation and steam is causing mildew to form under the cover and creating a smell. Solution: Leave about 6” of air space between your water and the underside of the lid. 3. Your hot tub is lacking the proper sanitization. Always check your sanitizer, and make sure you are maintaining your bromine or chlorine levels. Solution: A good rule of thumb is to add 1-2 TBS of chlorine or bromine granules like Beachcomber Carefree Boost and Bromo Blast when you get out of the hot tub. How do you clean the underside of the lid? To clean the underside of your cover, use a garden hose, or a bucket of water and a soft cloth to wipe it down. Then, use a vinegar and water solution, or diluted bleach solution to scrub it clean. Always make sure to rise with clean water after cleaning. We’ve put together a handy cheat sheet to make your job as a hot tub owner simpler. Have a look at the full guide which will give you what you need to know on a regular basis at a glance. Find out the correct balances for Alkalinity, Sanitizer, pH and Calcium, and as always, let us know in the comments or by contacting us with any questions! Here’s a printable copy that you can keep on hand to help with your maintenance.